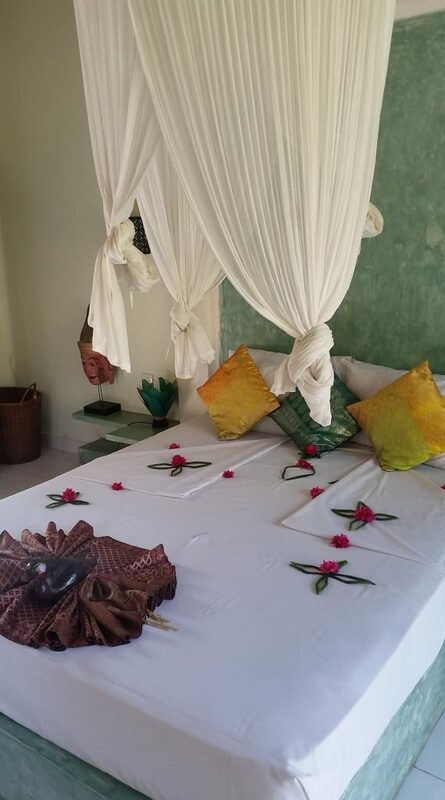 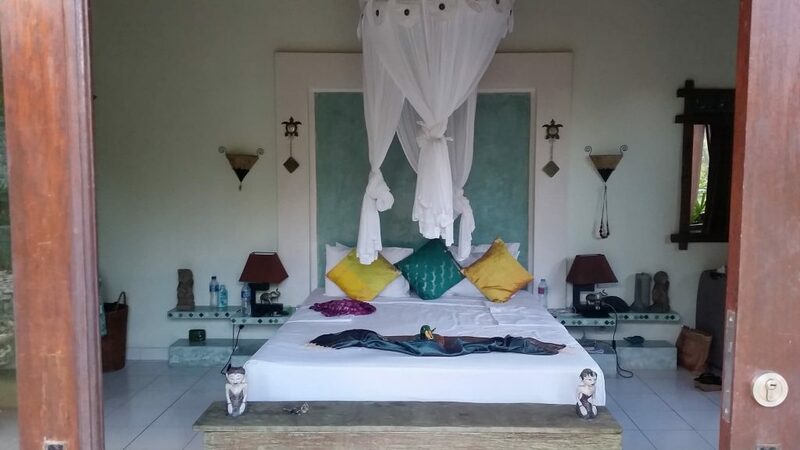 Our double villas are designed for 4 persons + max 2 children. 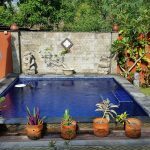 It has its own private pool, garden, kitchen and living area, and is easily accessible from Villa Anjing. 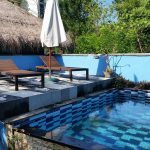 Villa Nusa, Villa Dua and Villa Puppy are our family villas. 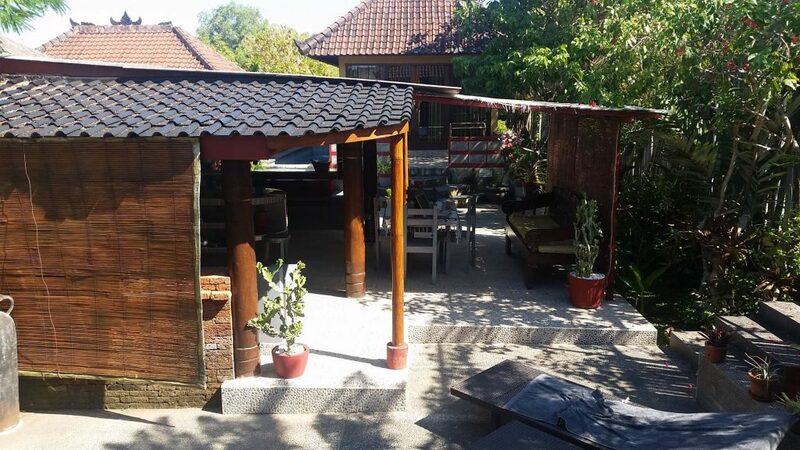 2 bungalows each of 30m² for 4 persons + 2 children in extra bed. 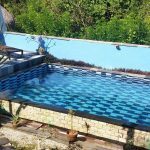 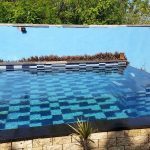 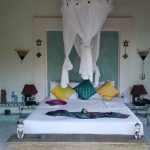 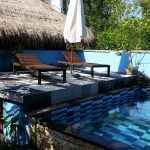 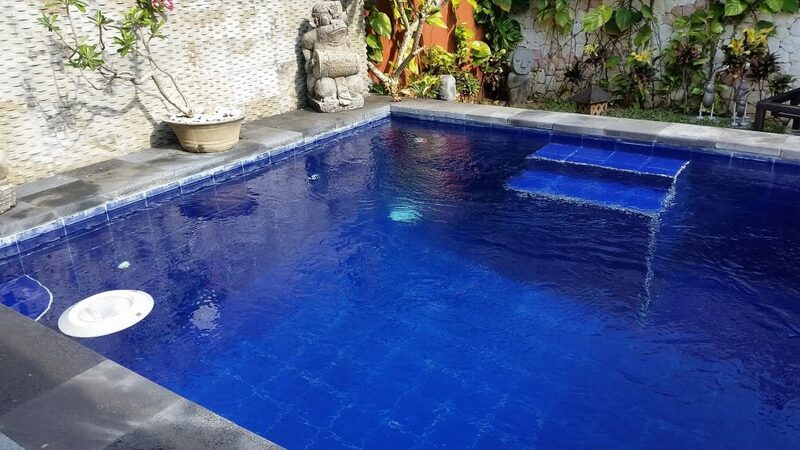 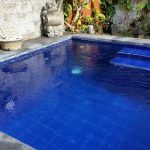 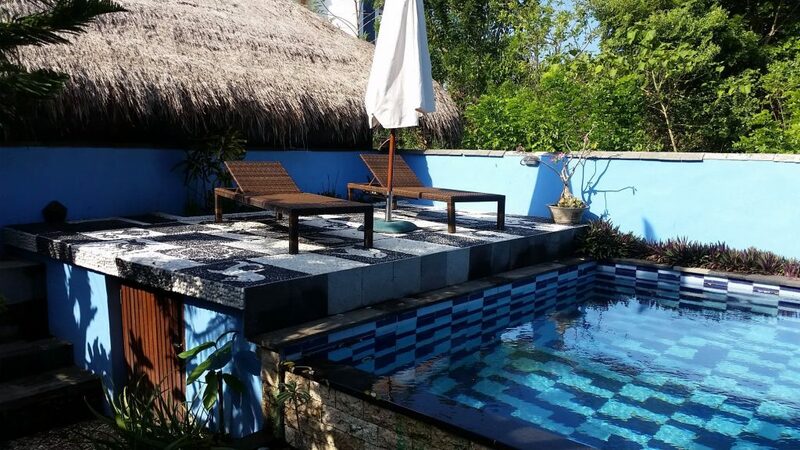 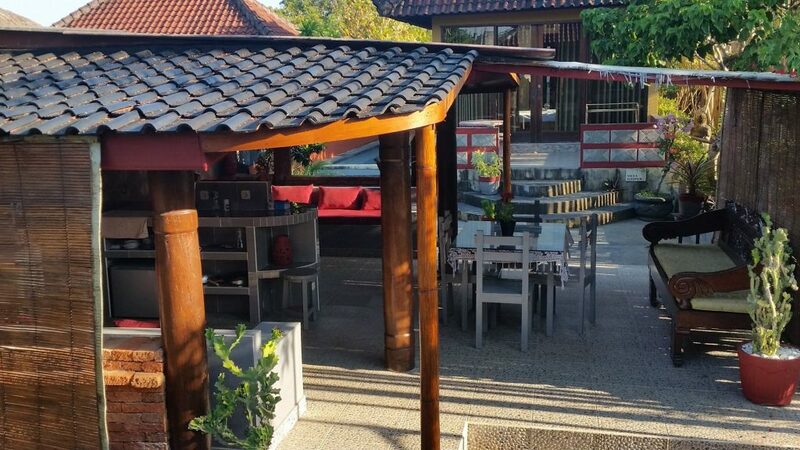 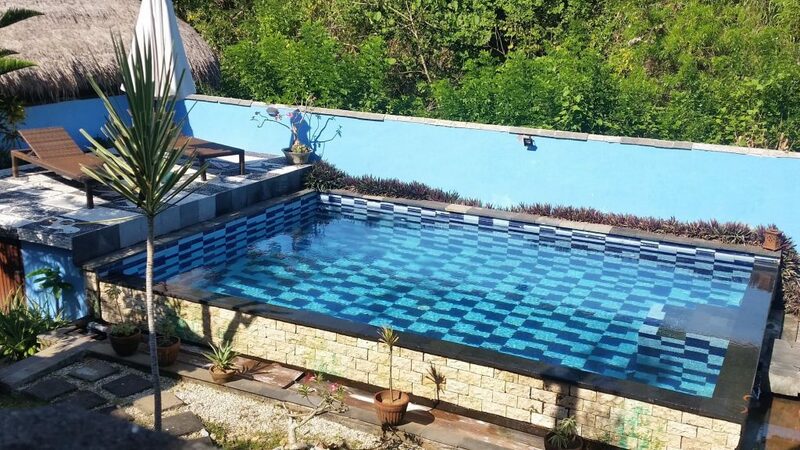 These villas have a private pool (at Villa Dua a small pool with 2 x 6m size), Villa Nusa a large pool and Villa Puppy a small pool with practical drinks cooler. 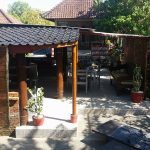 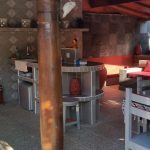 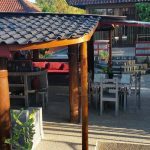 All villas have a closed garden area, have a kitchen (here our guests can prepare their own breakfast and other meals) and a lounge area. 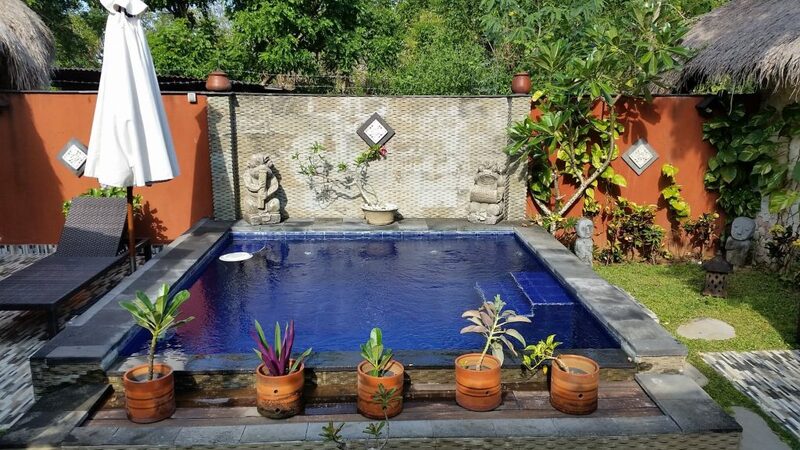 In all 3 villas of course free drinking water in the dispenser is ready. 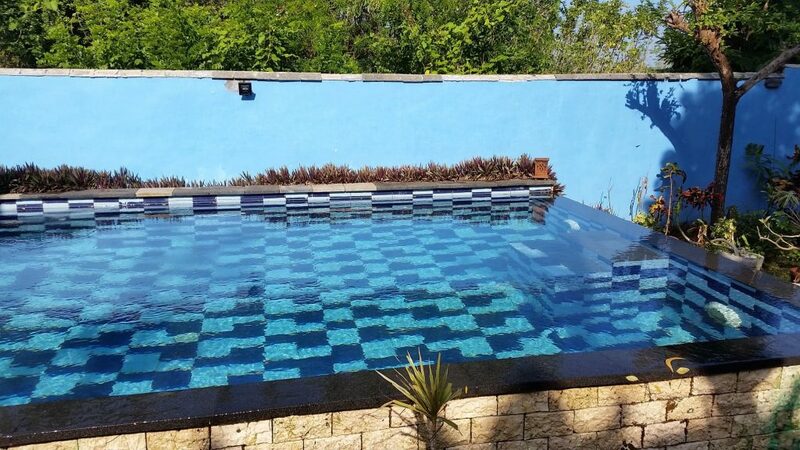 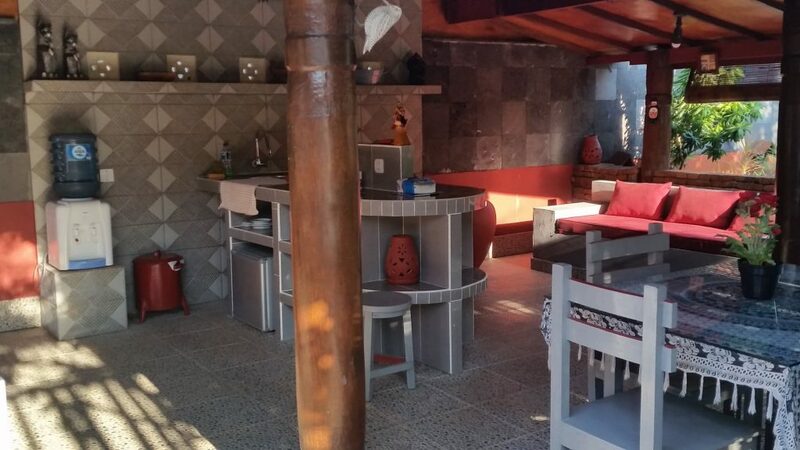 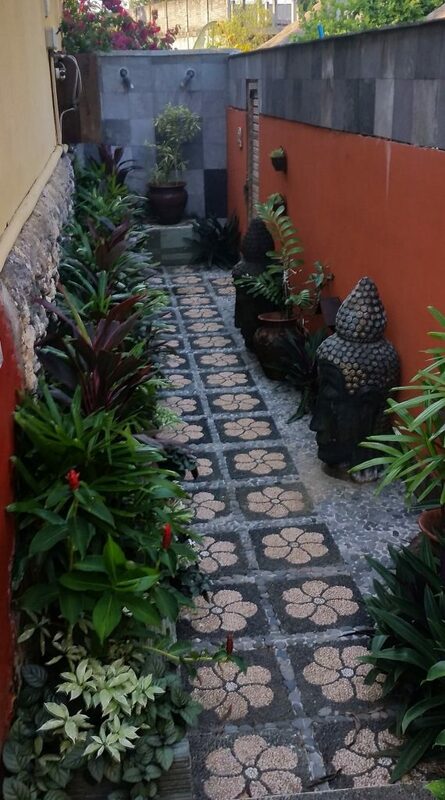 Ideal for a Bali vacation with family or friends. 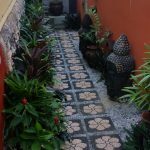 The villas have their own entrance and are structurally separated from the large annex (Villa Anjing). 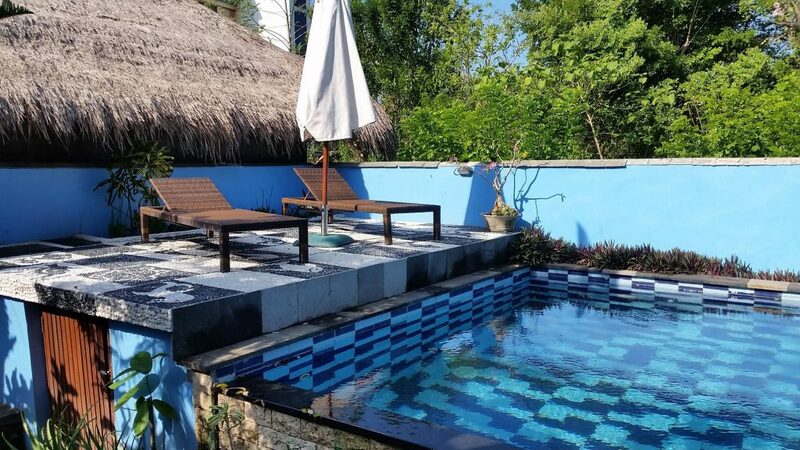 All 3 villas are virtually below the tennis court.